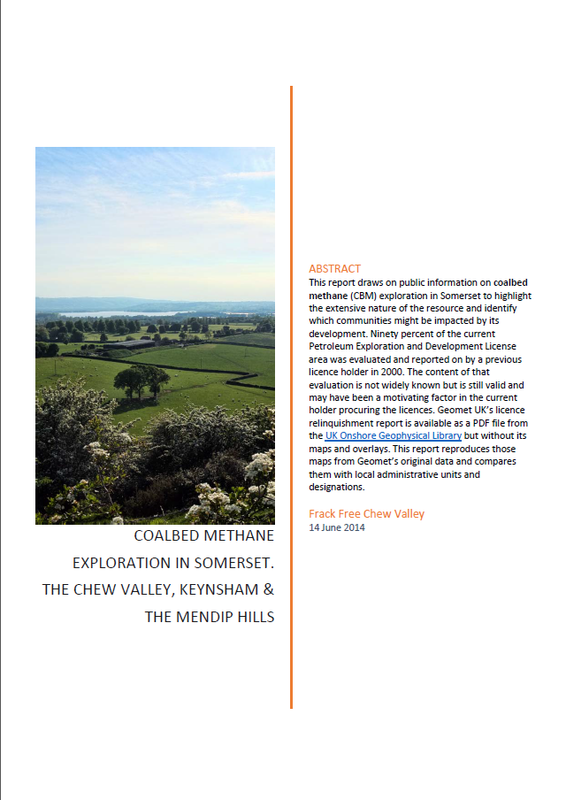 If you agree that climate security and protecting your local environment is more important than short-term profit and you don’t want to see Coalbed Methane, Shale Gas and Fracking coming to the Chew Valley over the next 20 years, then what can you do? This first thing to do is get informed, make up your own mind rather than listen to politicians. The critical thing you can do is object to planning applications for drilling when they are applied for. Test wells may turn into production wells, so it is important to object to test wells from the outset. Write to your MP to tell them what you think and urge them to act in the long-term not the short-term interest. Write to your local councilor to tell them what you think and express any concerns. The local MPs for Wells and for Bristol East have both expressed concerns about unconventional gas in their constituencies. The MP for the Chew Valley, Mr Jacob Rees-Mogg MP, is in favour of Fracking and is unconcerned about global climate change. We know the because he has said so repeatedly in the local press, in his speeches and in a meeting with concerned constituents. He is prone to make statements about fracking and renewable energy based on wishful thinking rather than scientific evidence. He has easy access to balanced assessments on these subject from the Parliamentary Office of Science and Technology but he chooses to ignore them. The Chief Scientific Adviser to the Department of Energy and Climate Change, Professor David MacKay of Cambridge University, has offered to meet Mr Rees-Mogg to discuss these matters. The Timsbury Environment Group has published a report of their meeting with Mr Rees-Mogg. If you are concerned about fracking and a constituent of North East Somerset then you should write to Mr Rees-Mogg expressing your concern, but don’t be disappointed if you get fobbed off – just write back. Your MP is in Parliament to represent your interests and concerns, not his. He has a duty to listen and respond to you.